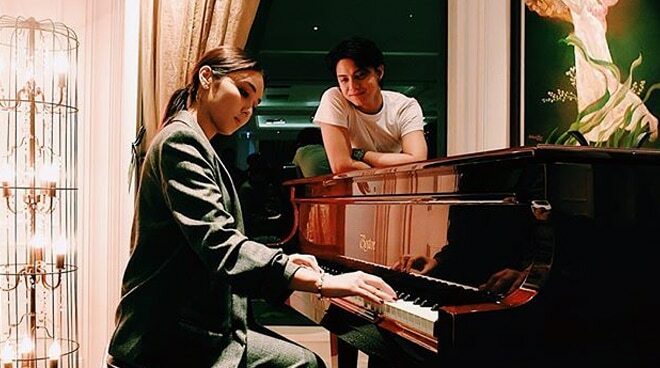 The Hows of Us screenplay writer Carmi Raymundo caught on camera blockbuster love team Kathryn Bernardo and Daniel Padilla as they sat together at a grand piano. Both photos were taken in Ho Chi Minh City, Vietnam, where their movie The Hows of Us, recently held one of its international screenings. The Hows of Us also broke a new record as highest grossing Filipino film to date as it made it past the 600 million mark (and growing) in ticket sales.